The main exceptions are the coastal strip and the area along the shores of Lake Victoria. Both are hot with high rainfall and humidity. This describes the coastal strip and the region around Lake Victoria. The coastal towns of Mombasa, Malindi and Lamu are in this zone. Temperatures remain steadily hot for most of the year, but on the beach the humidity is kept at bay by the ocean breeze. Average temperatures vary little during the year, ranging from 22°C to 31°C. Very hot and very dry. This describes the semiarid bushlands of northern and eastern Kenya. The average rainfall is very low and irregular with temperatures ranging from 20°C to 40°C year-round. These regions are sparsely populate by pastoral people who keep camels, cattle and goats. Samburu National Reserve is in northern Kenya and has a pleasant aura of vastness and seclusion. Rain in these regions falls fairly regularly every year, but in very small quantities. Vegetation is small thorn bushes and scattered huge baobab trees. Examples of these regions are Amboseli National Parks, Meru National Parks and Tsavo National Parks. Hot and dry for most of the year, but with a reliable and fairly abundant seasonal rainfall. This climate typically produces the open grassland known as savannah with small acacia and evergreen trees. Cattle-ranching pastoralists inhabit these areas, which support large herds of gazelles, wildebeests and zebras. Examples of these regions are the Maasai Mara, Kedong and Loita plains. Warm with moderate and reliable rainfall. This describes the climate found over much of the higher areas of the country such as Nairobi. When not cultivated it produces open woodland, but most of these areas are today intensely cultivated with tea, pyrethrum, horticulture, maize, wheat, barley and dairy cattle. 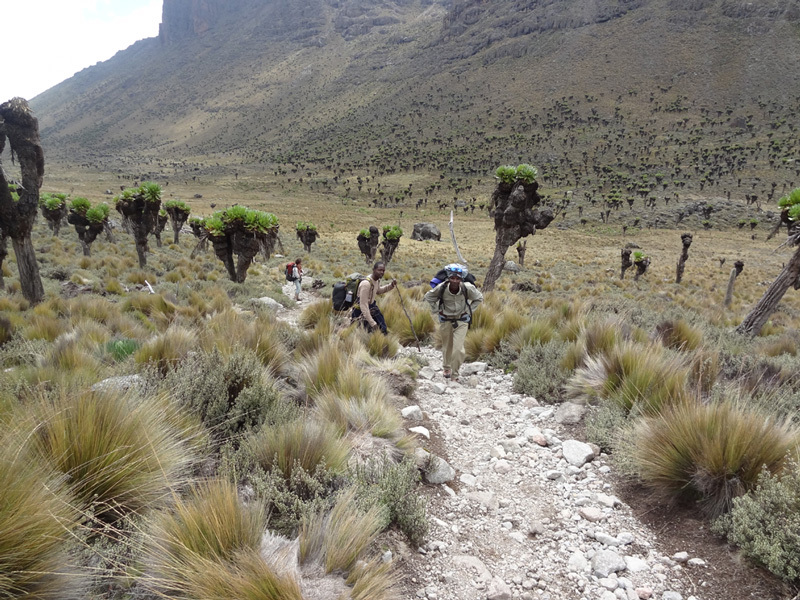 This describes the upper slopes of the Aberdares, Mount Kenya and Mount Elgon. There is dense forest with bamboo the dominant plant in many regions. Wildlife found in these areas includes buffalos, elephants, rhino, leopards monkeys and numerous species of birds. Treetops and The Ark are in this zone. This describes the climate found high above the forest zone on all mountain ranges. It is characterized by moorland with crystal clear streams often stocked with trout. The vegetation is Alpine heather, groundsel and lobelia that grow higher than a man. With such a constructive climate; sunny, only moderately wet, not too hot and a great variety of scenery, wildlife, game parks, and good quality communications, Kenya has many attractions enjoyable for both locals and tourists.